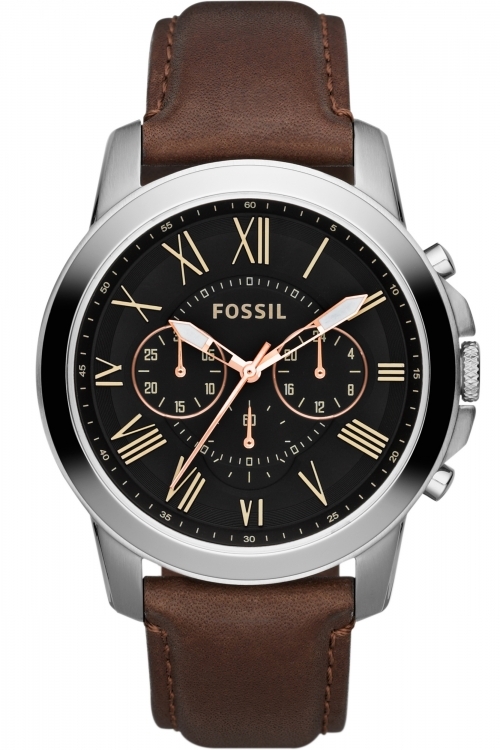 This Men’s Fossil Grant watch is the perfect gift or self purchase. It is made from stainless steel and has an eye catching round black dial with gold roman numeral hour markers. Also features chronograph and powered by a quality quartz movement. It fastens with a genuine leather brown strap. Pure class at an affordable price.